Ball closure ring with flat back disc with a hole to accept attachments for internally threaded jewellery and a jewelled trinity gem. 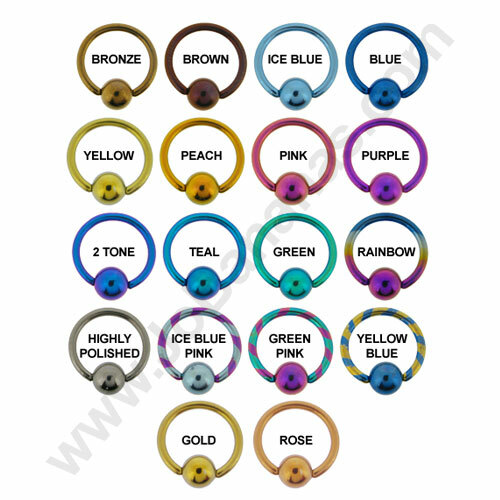 This flat back ball closure ring is suitable for 1.2mm (16 gauge) body piercings and it is made out of high quality medical grade Titanium in the colour of your choice. The disc is 4mm and has a hole in order to attach 1.2mm internally threaded screw in attachments with a 0.9mm post (QMDD), this piece is supplied with a trinity gem design that measures 6mm across in total. Each gem is 3mm and is a clear swarowski crystal. The disc has a dimple each side so that it can be clipped into the ring. 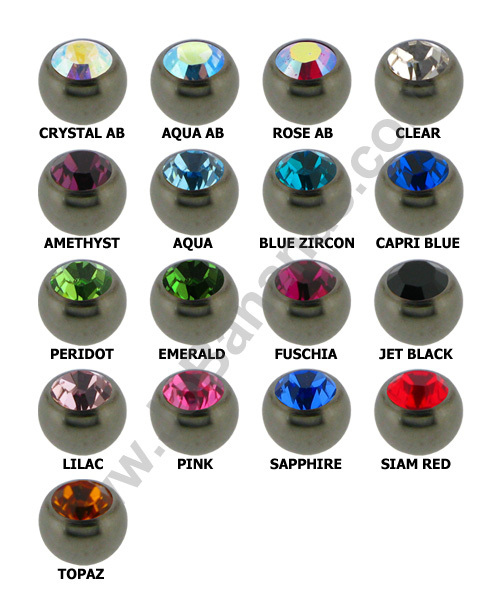 You can select the ring with a 7mm, 8mm, 9mm or 10mm internal diameter. 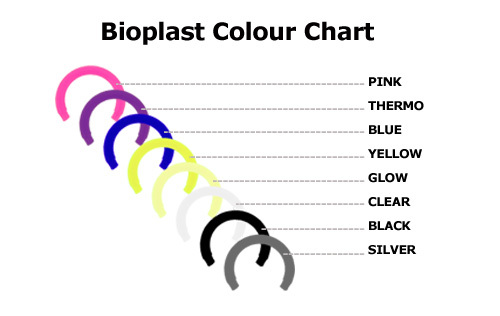 It is available in any of the Titanium colour choices that we offer and looks stunning when worn in a piercing such as ear and smiley. "great website, service and quick delivery....what more could you want?!"